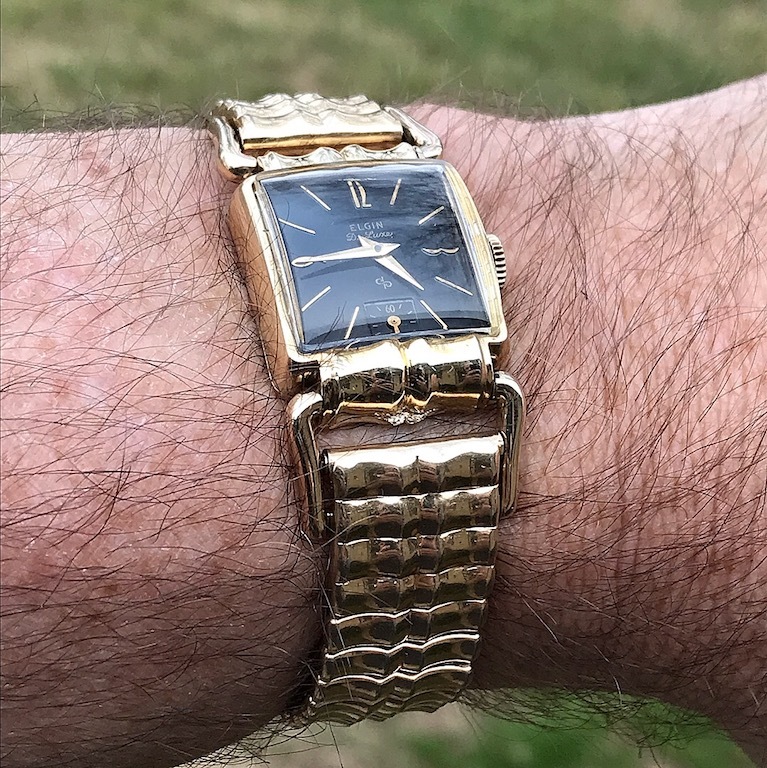 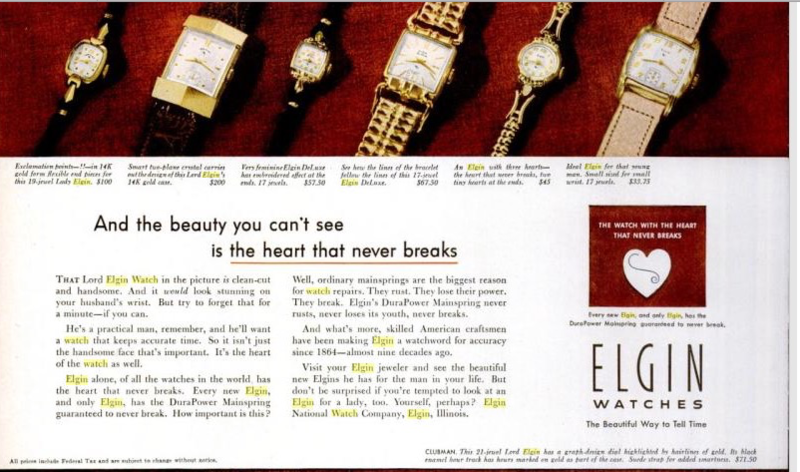 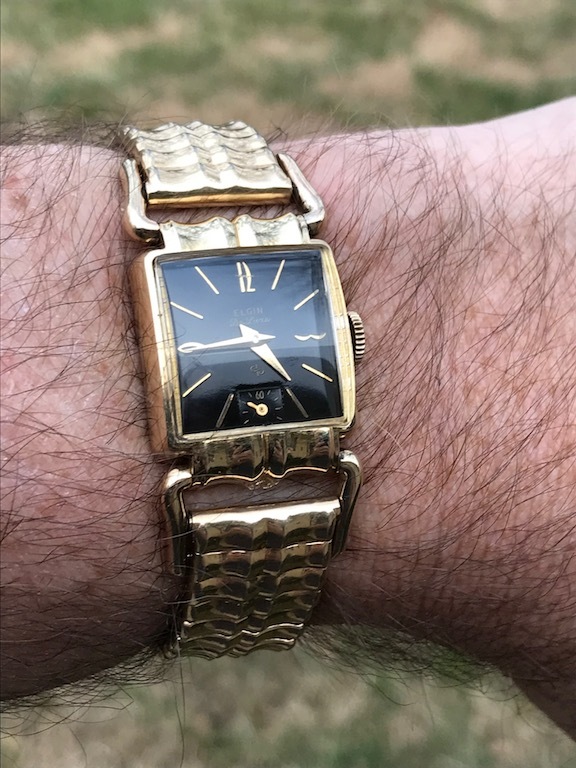 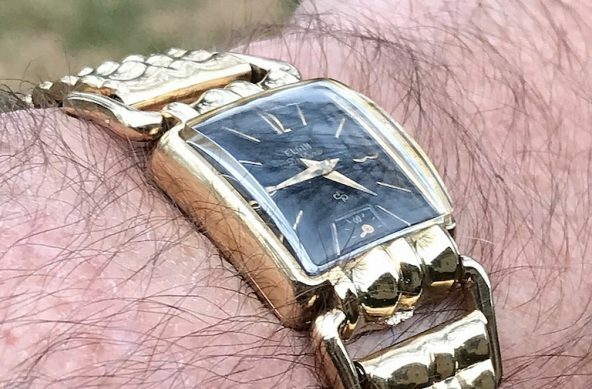 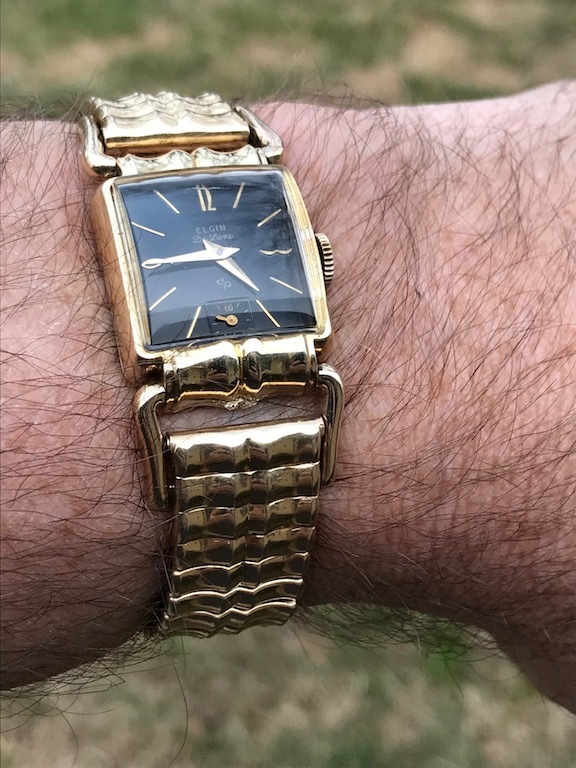 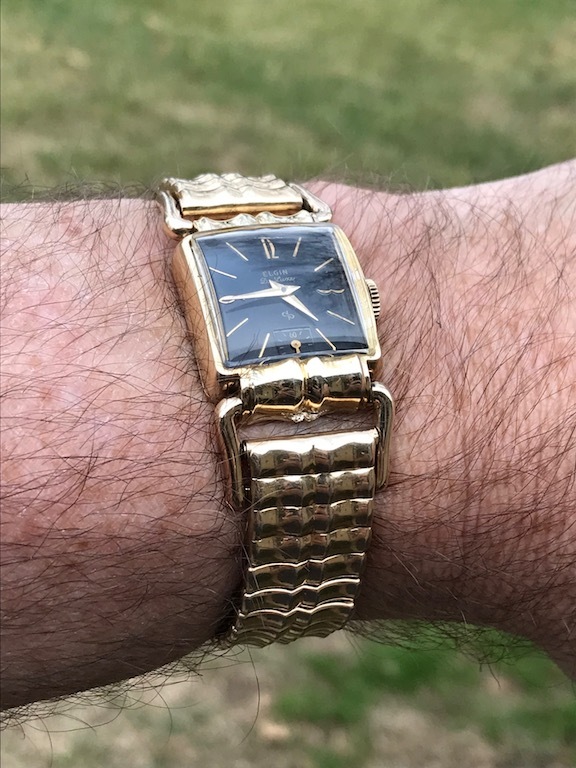 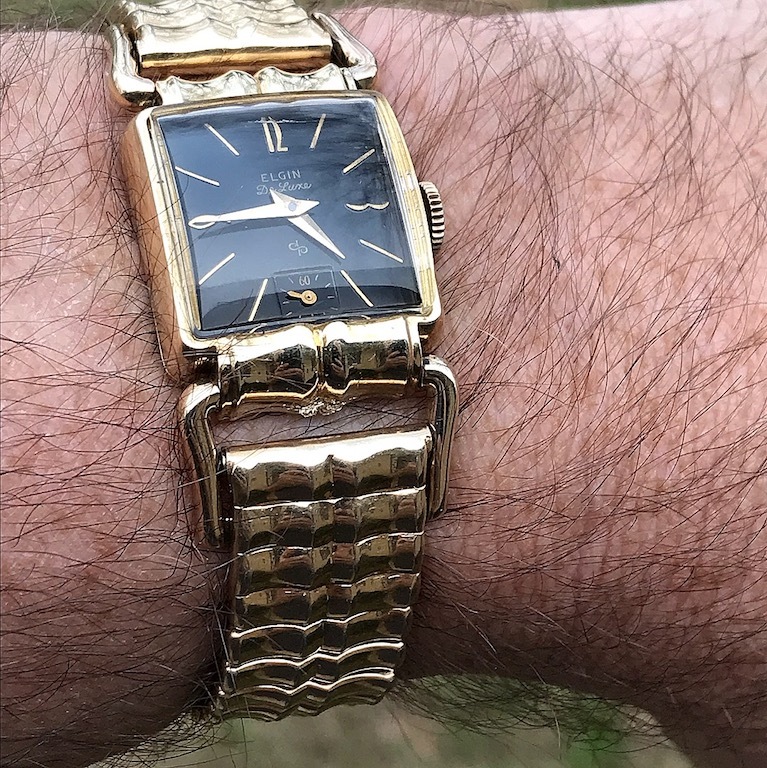 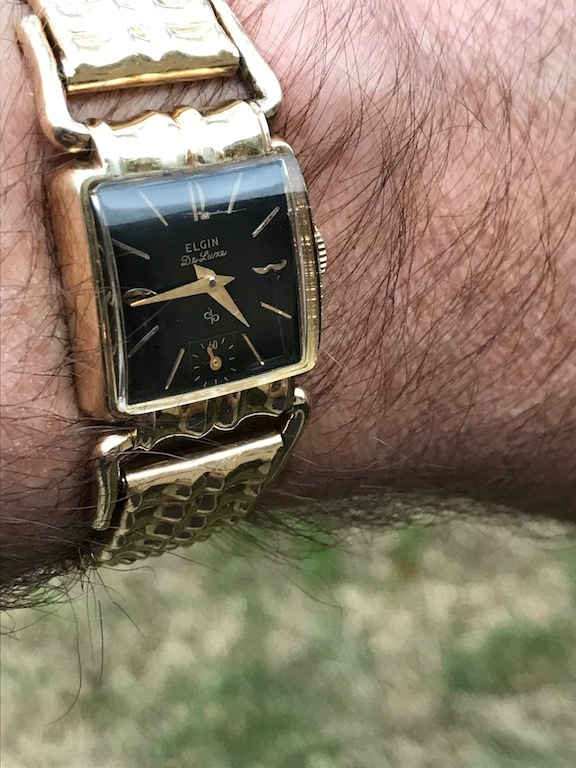 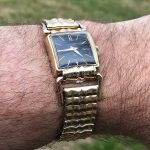 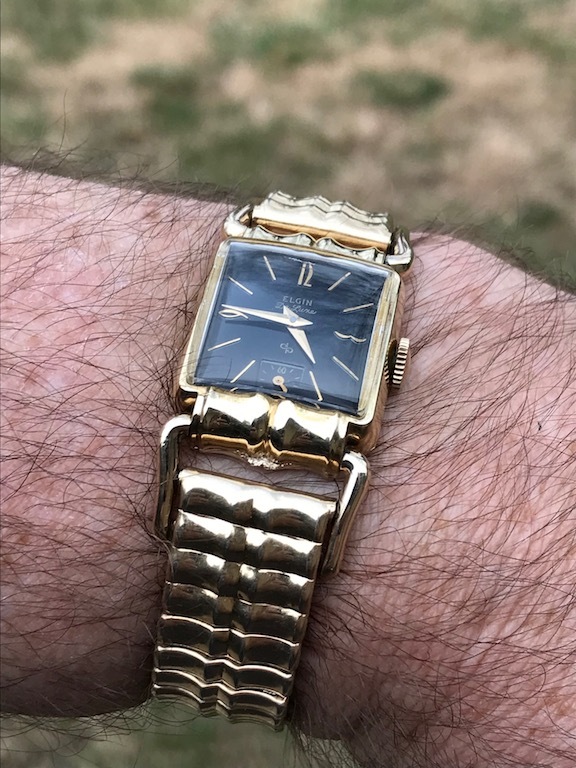 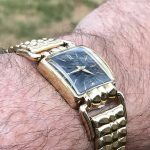 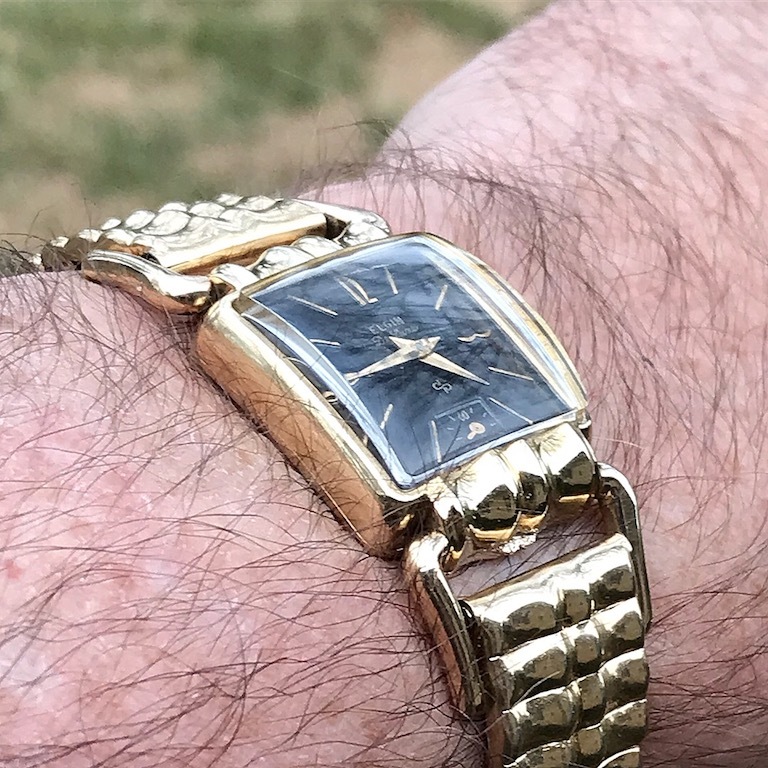 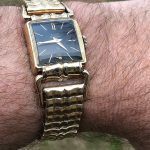 Early 1950s Elgin Deluxe Driver’s Watch | Grumpyguy Inc. 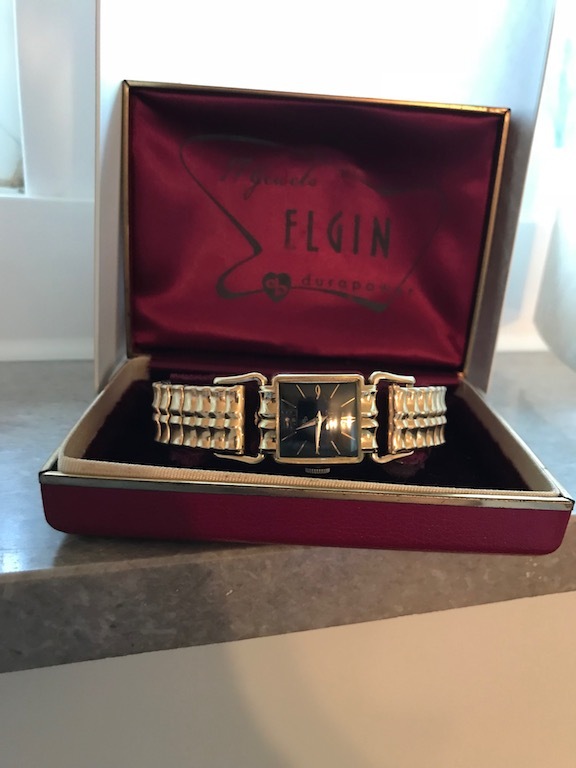 I picked up a very nice example of an early 50s Elgin Deluxe driver’s watch. 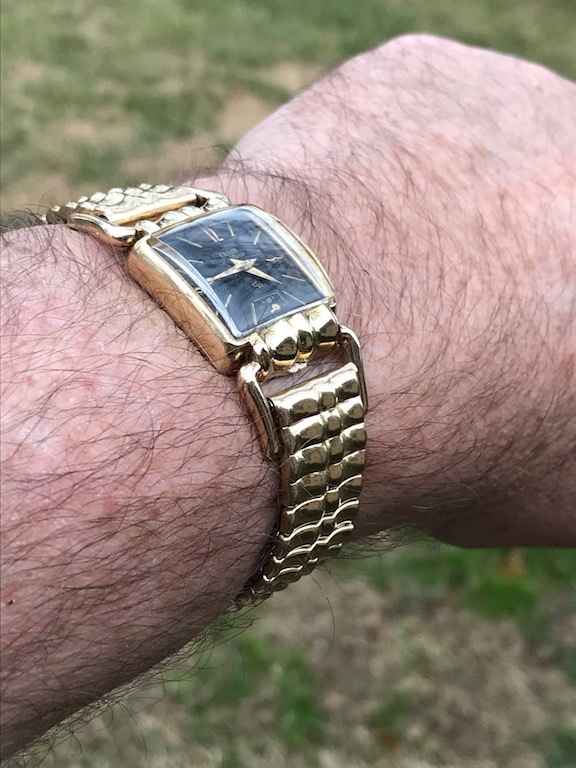 It is in great shape and even came with the original matching bracelet. 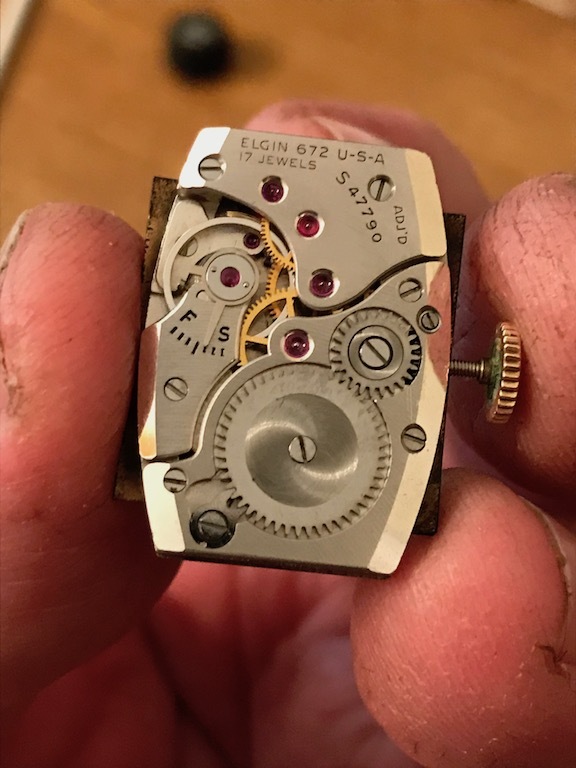 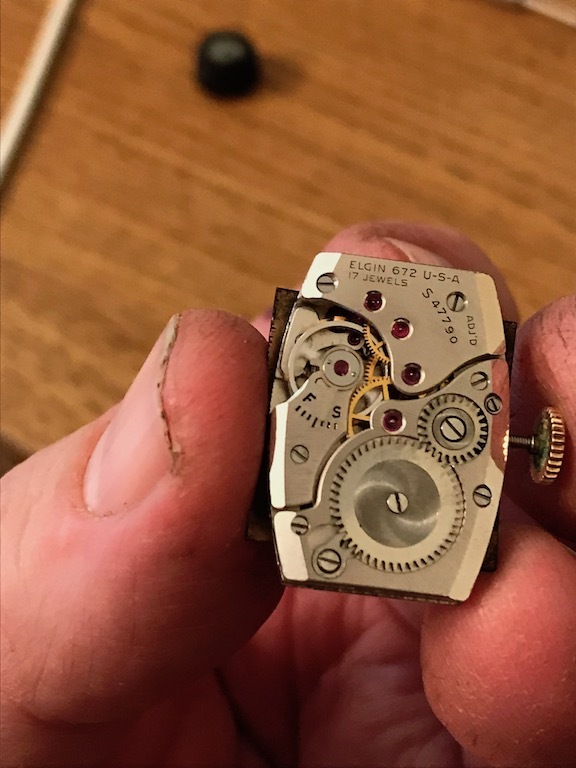 It uses the 17 jewel 672 movement. 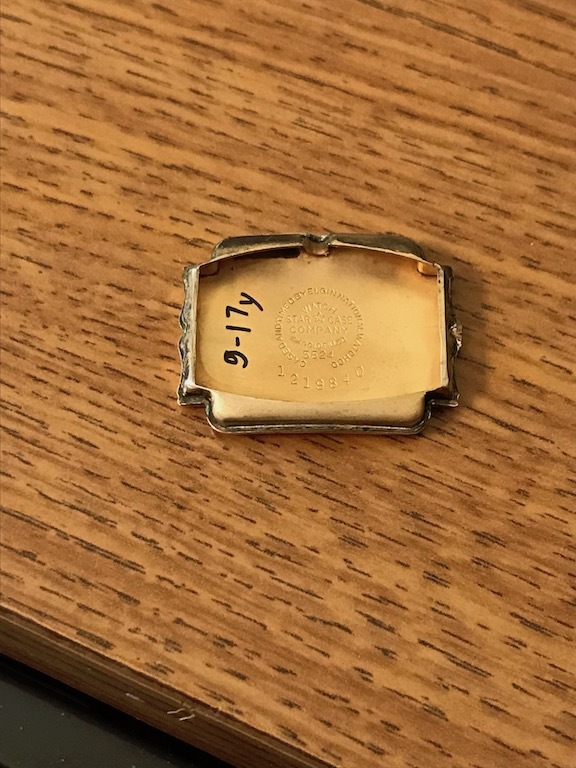 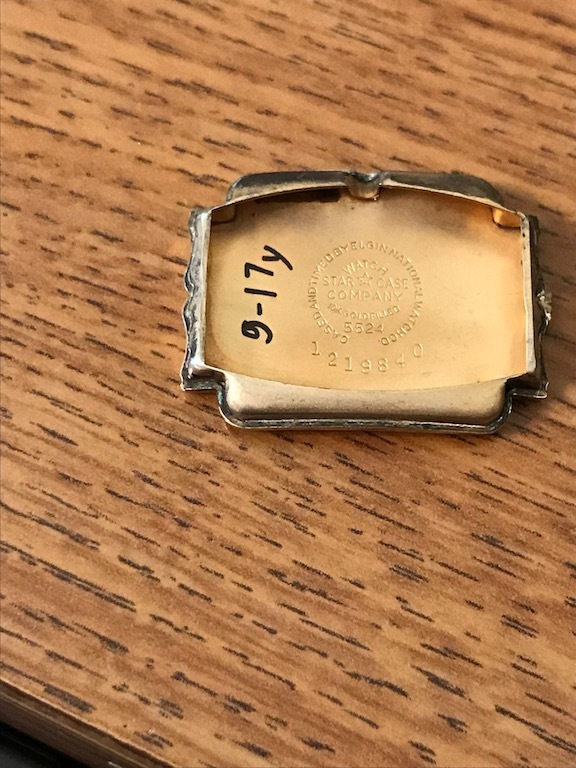 It has the case number of 5524 and is 10k gold filled.